The draft encyclical Humani generis unitas ("On the Unity of the Human Race") was ready in September 1938 but, according to those responsible for an edition of the document and other sources, it was not forwarded to the Holy See by the Jesuit General Wlodimir Ledóchowski. 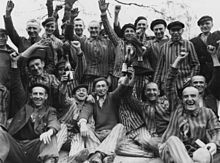 The draft encyclical contained an open and clear condemnation of colonialism, racial persecution and antisemitism. 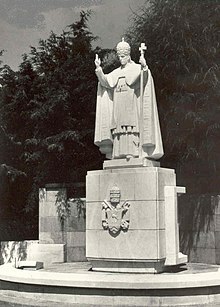 [full citation needed] Historians Passelecq and Suchecky have argued that Pacelli learned about the existence of the draft only after the death of Pius XI and did not promulgate it as Pope. He did use parts of it in his inaugural encyclical Summi Pontificatus, which he titled "On the Unity of Human Society". His various positions on Church and policy issues during his tenure as Cardinal Secretary of State were made public by the Holy See in 1939. Most noteworthy among the 50 speeches is his review of Church-State issues in Budapest in 1938. Galeazzi-Lisi reported that heat in the halls, where the body of the late Pope lay in state, caused chemical reactions which required it to be treated twice after the original preparation. 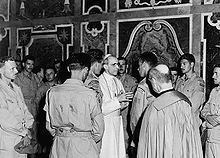 Swiss Guards stationed around Pius XII's body were reported to have become ill from the disagreeable odor during their vigil.